This sticky post is here to inform you that at the moment I am in Iceland on my “Vatnajökull 2012 expedition” skiing across the Vatnajökull glacier. I’m leading a four person Finnish expedition skiing across the glacier and summitting Hvannadalshnjukur (2109,6m, Iceland’s highest peak) on the way weather and schedule permitting. 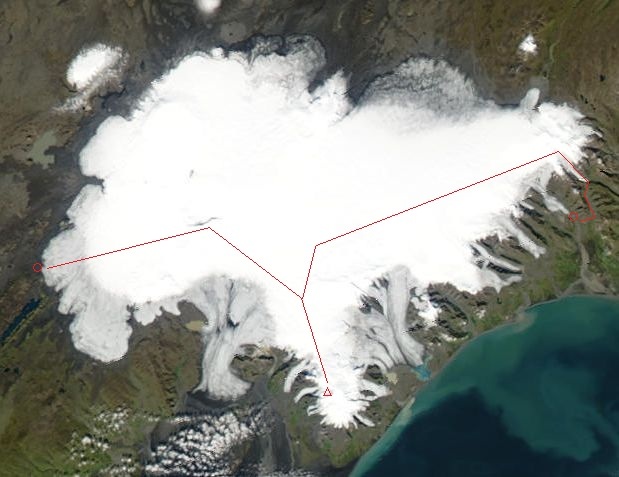 The trip will take from 23.3.2012 to 9.4.2012 with 16 days on the ice. The expedition preparations have been the main reason for the unfortunate radio silence in the blog but while I’m on the ice skiing I should also have time to write blog posts and share the trip with you! Our four person expedition will be sending daily updates to the expedition blog but these posts will be in Finnish. During the trip a very kind person named Kimmo has promised to translate our posts from the ice into English and publish them in my blog. There will be a bit of delay because of translation but none the less, you should be able to follow us also in English. You can leave comments to posts in the normal way and my friend Matias, who is responsible for our comms, will post them to us so that we’ll have some entertainment on the ice. If you’d like to contact us during the trip, you should first contact Matias by e-mail to him at mazcu@jossain.com. I’ll be writing more after the trip, untill then, enjoy the translated updates from the ice!